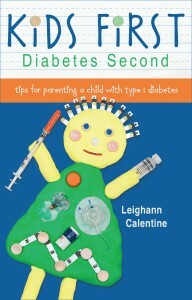 With Easter approaching quickly I thought I would share an excerpt of my book Kids First, Diabetes Second. There is an entire chapter devoted to helping kids with diabetes enjoy the same experiences as other children including playdates, sleepovers, camping, amusement parks, and holidays. We all know that there is more and more emphasis put on food at the holidays. Here are a few tips that might help get you through Easter. If you have more ideas, I would love to hear them in the comments. 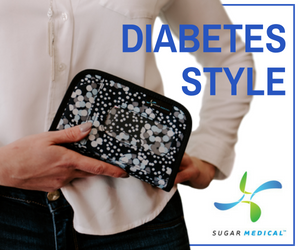 With all the added tasks and concerns we have as parents of a child with diabetes, it’s easy to get caught up in the details of daily management and lose sight of the fact that your child is still a child—with all the enthusiasm and curiosity that entails. 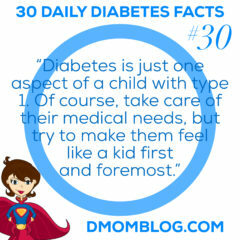 He or she may have diabetes, but it’s important for long-term well being to have normal childhood experiences. 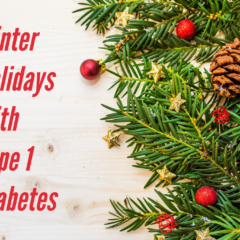 Playtime, parties, holidays, and sports are supposed to be fun but, let’s face it, diabetes adds a challenge to these rites of childhood. So, how do you balance caring for your child’s health and letting them just be kids? I have a few suggestions. On Easter, our focus is on fun. The Easter Bunny leaves a note for the kids with clues as to where he hid surprises. The kids grab their Easter baskets and follow the clues. At each location there is one item for each child. 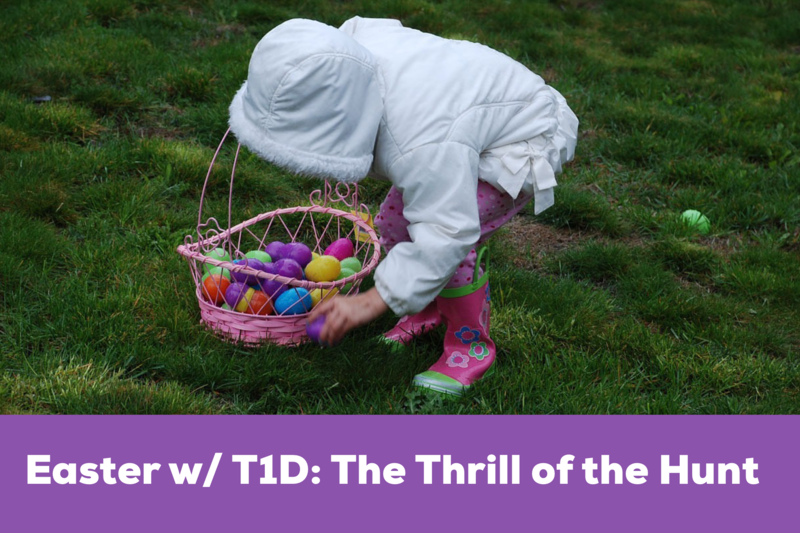 These include non-food items such as a book, sidewalk chalk, a toy car, or small plastic animal, plastic eggs filled with coins, and, of course, it culminates in finding a chocolate bunny! 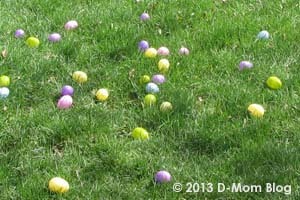 We also go to a big Easter egg hunt in our town every year. I treat it similarly to Halloween, allowing her a few treats over the next few days, and then getting rid of the rest of the stash. While a big part of Easter celebrations is the candy, you will find that it’s more about the thrill of the hunt. Why limit? Carbs are carbs and insulin is insulin. We let our t1 kid eat the same things we would have otherwise, even if that means the whole bunny on Easter morning. I really dislike perpetuating the idea that our t1 kids have to limit what they eat. 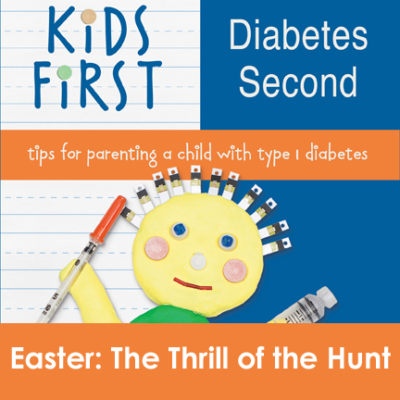 I actually limited BOTH of my kids’ candy consumption even before my daughter’s diagnosis with diabetes. Both kids do get candy, but also non-candy items, at holidays. I am asked over and over, particularly by parents of newly diagnosed children, for non-candy alternatives and am happy to provide some ideas. And I didn’t mention this above, but BOTH of my children get the same amount of candy. And I noticed the other day that we still have Christmas and Valentine candy in the cupboard! Thanks for your comment, Danielle. 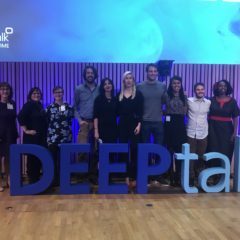 I personally see a lot of families trying to limit the junk food at home and sweets at school…and most of these families are not affected by diabetes. 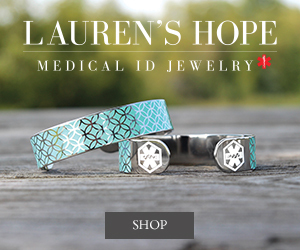 My son was just diagnosed in December, so we’re still pretty new to everything. However, we’ve always controlled the amount of sweets our children consume. The Easter Bunny has always brought a few dark chocolate eggs and a few with some change that the children can find and always leaves a basket of treats the bunny might enjoy: carrots with tops, asparagus, artichokes, celery and, of course, that one super small dark chocolate bunny (we buy the ones that come in packs of three. . .so, the super small ones). It really bothers me how much our culture is so junk food focused and how we feel as parents that we need to give in to the junk on every single holiday, at every party, at every event. . .heck, they even try to give my kid candy at shops, banks, etc. . .blech! 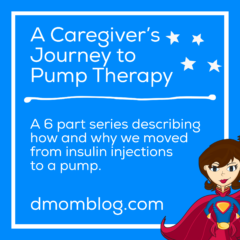 Yes, I let my children be children without all the junk but trying to teach them to choose better treats. . .but, we’ve been this way since before diabetes and we’ll be this way post-diagnosis as well! Thanks for the good ideas!! Another non-food item I grabbed in the Target dollar section and will be trying in my kids’ easter eggs this year: magic growing animal capsules! We throw away treats after a few days just because they get forgotten and not eaten. We still have Christmas and Valentine candy in the cabinet sitting there! My kids aren’t deprived of candy, but everything in moderation…right? Sounds like that’s what you do, too.